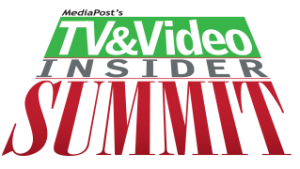 Marketing Today was at MediaPost’s TV and Video Insider Summit June 6-9th in Pinehurst, NC. Alan moderated two panels while at the summit. Details and videos are below. If you are interested in having us speak, moderator or worth with you on an upcoming event or conference, please contact us. As the video options explode – across linear, VOD, OTT, addressable/programmatic TV and the vast online terrain, what is a media buyer to do? We ask a team of video strategists to share what they have learned about how each of these channels maps against specific campaign and marketing goals. Where are they finding the right targeting data, audiences, scale to justify their time and investment? Which of these channels integrates best with larger marketing plans and casts of the results data advertisers most need? Our panel of media buyers share how they are knitting together planning, creative and measurement approaches from a fragmented landscape. Audiences are not only fragmented but increasingly distracted. Where are planners finding and best using data to target their customers in places where it matters? Knitting together the data that accurately assembles these audiences among these screens is an improvised dance with on-boarding first party data, vaulting walled gardens and sorting through uneven third-party data. We ask a panel of seasoned cross screen buyers for examples of how they are knitting together targeted audiences from this mixed data pile.